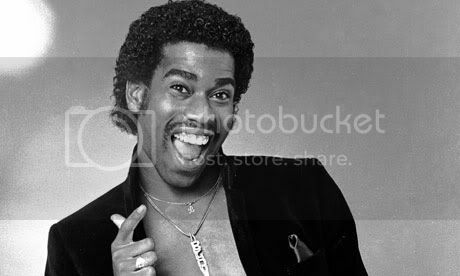 DeepSoul Holiday Edition: Kurtis Blow - "Christmas Rappin'"
One of rap's first successful artists kicked off his career with this hip hip holiday classic. Hold it, now wait, hold it, that's played out! With those two lines, rapper Kurtis Blow launches his own take on the holidays, "Christmas Rappin'." Over a funky beat, Blow offers his version of "a red suited dude, with a friendly attitude and a sleigh full of goodies for for the people on the block." One of the first Christmas rap songs, it stands as another great example of the old school style, namely describing a party and boasting of one's MC prowess. In addition, "Christmas Rappin'" kicked off Blow's career, which proved instrumental in introducing rap into the mainstream. Born Kurtis Walker, Blow immersed himself in the mid-1970s nascent hip-hop scene in New York. His big break came in 1979, when he recorded "Christmas Rappin,'" a novelty tune co-written with Billboard columnist Rocky Ford. The song gained popularity, which earned him a contract with Mercury Records, cemented by the Sugarhill Gang's massive success with "Rapper's Delight." The pioneering group proved that rap could appeal to a bigger audience, cementing Mercury's confidence in Blow and hip hop in general. The following year brought Blow's huge single "The Breaks," an influential song that bust the doors wide open for future rap artists. Indeed, Blow became the first rap artist to earn a major label contract, and was one of the earliest rap acts to achieve commercial success. "Christmas Rappin'" resembles "Rapper's Delight" in that it features a disco-friendly beat and upbeat, nonthreatening themes. Blow shows off his ability for humorous wordplay, announcing at the track's beginning that "My rap's about to happen, like the knee you was slappin', or the toe you been tappin' on a hunk of wood." He turns the traditional tale of Santa coming down the chimney on its head. "Now people let me tell ya about last year when the dude came flying over here," he raps. He describes Santa as "roly, he was poly, and not the holy moly," and adds that he asked Santa to stay for a while. "He said, 'Why not? If the music's hot, and I'll chance a dance beneath the mistletoe.'" What happens next? "And he rocked the spot and danced like a pro, and every young girl tried to rock his world, but he boogie oogie oogied till he had to go." After delivering presents, including "a new TV and a stereo, a new Seville 'bout as blue as the sky," Santa leaves the party. Almost 32 years later, "Christmas Rappin'" still charms with its infectious beat, humrous lyrics, and Blow's deft rapping style. While other artists such as Run DMC, Snoop Dogg, and Eazy-E (who performed a rather family unfriendly holiday tune) have since recorded Christmas rap tunes, Blow's jubilant yet cool single set the standard for all hip hop holidays to come. "Christmas Rappin'" is available on several holiday compilations as well as on Blow's self-titled 1980 debut album, which also includes ""Rappin' Blow, Part Two," otherwise known as the second half of his holiday single. If possible, track down the extended single, which is eight minutes of pure fun.